Selling a home in Sequim requires much more than just listing it in the Sequim MLS, whether that is the Olympic Listing Service or the Northwest MLS, or both. It used to be a Realtor could just put his listings in the MLS and run a little ad in the Sunday paper once or twice for each home, and that was marketing real estate. Wow, things have really changed since then. Selling a home in Sequim or Port Angeles, or anywhere in the country for that matter, is not what it used to be. It has dramatically changed in recent years. I’m not talking about changes in the economy, the mortgage debacle, or the state of the real estate market. I’m talking about the marketing and advertising of real estate for sale. The way buyers and sellers are connecting has taken a leap into the future, although I admit that leap was more like a frog in a pot of water slowly getting warmer until finally we have reached a steady boil. There is no precise point in time when this dramatic change took place, but it certainly has. As far as marketing real estate is concerned, I think it is fair to say the future is here. Most real estate brokers and agents around the country are still operating with a 20-year old business model. They are relying on what used to work, what they’ve done for 20 years, and it made them some pretty good money for a long time. But today brick and mortar buildings, impressive conference rooms, billboards, multiple page advertisements in the real estate magazines and massive advertising in print newspapers almost go unnoticed by the astute buyer who knows how to do his due diligence to shop for a home. This discerning buyer knows how to research and find a competent and trustworthy Realtor. This buyer is not fooled by gimmicks or “loud advertising.” Today print advertising plays a small role in capturing buyers’ attention. Marketing around the Olympics used to be like a 100-meter cakewalk. You’d pay a gazillion dollars to the International Olympic Committee, then pay a gazillion more to brag like heck about it on TV and in print ads. That was then. This is now: Add on a multi-pronged digital ad strategy that feeds on megabuzz. It must touch all the hot buttons from the hippest social-networking sites to the coolest blogs to the cellphones of those most coveted by marketers – trendsetters 18 to 26. Technology, the digital age, and the Internet, have changed the rules of the game for selling a home in Sequim or Port Angeles. Of course most buyers and sellers are not 18 to 26, but even people in their 70’s are using the Internet for email, for shopping, and for research on buying and selling real estate. Selling a home in Sequim requires much more than simply listing it in the MLS and running an ad. Effective marketing today will include an Internet strategy that has more power than any local newspaper. That’s especially true for Sequim since most of our buyers are coming from out of state. Of course, there are principles of advertising that will always be true. There are principles of sales and the effective use of words and images that a professional learns to use. 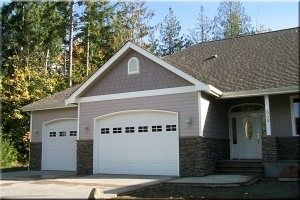 But the medium and the techniques of selling a home in Sequim have changed. Does your Realtor comprehend these changes and this new frontier? What is your comprehensive plan to market and sell your home?